Let's invite the band in now, to play 'Cross the Line' with us. 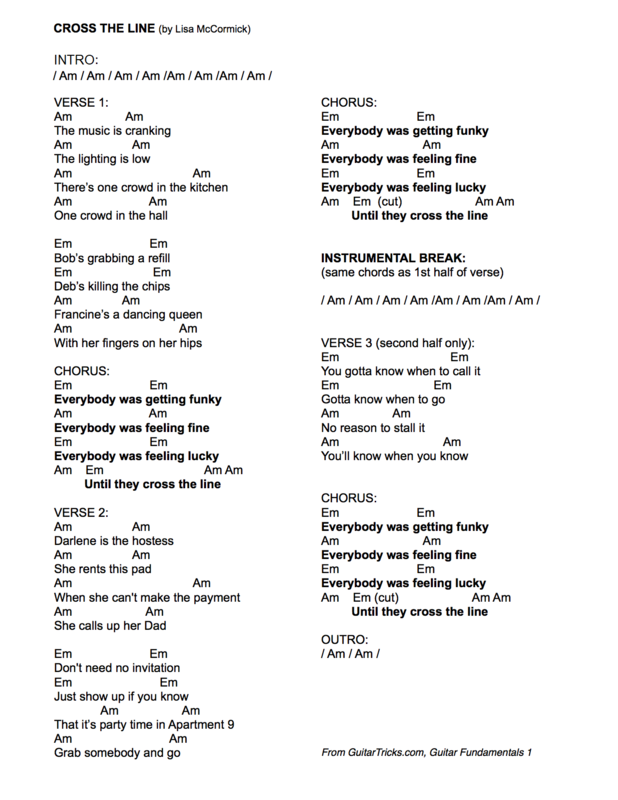 You'll find the lyrics, and chords for this song, 'Cross the Line', at the 'Image Tab', and you can print them out by going to the 'Print This Lesson' tab. The best thing to do if you fall behind or make a mistake is to stop playing for a moment, and try to get your bearings. See if you can jump in with me the next time a new verse or chorus starts. As tempting as it can be to want to go back and 'fix' your mistakes, it guarantees that you will be lagging behind as the song marches on without you! 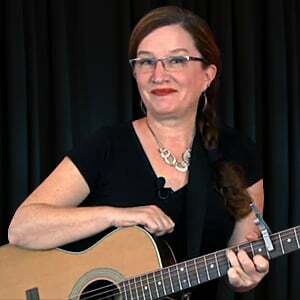 Rather, make a mental note of your mistakes, and drill yourself on the skills you need to improve to have better luck keeping up with the song. Eventually, it will all come together, and you'll be surprised to remember it ever felt this difficult!